Does The Elder Scrolls Universe Really Benefit From A Customizable Card Game? 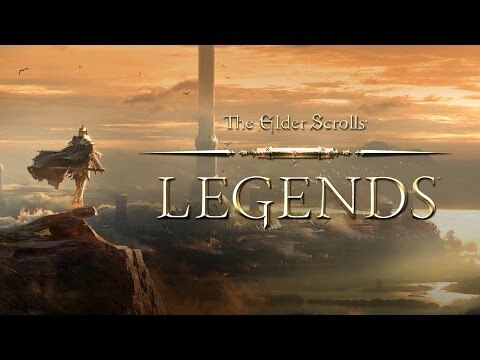 A Skeptic's Review of The Elder Scrolls: Legends. 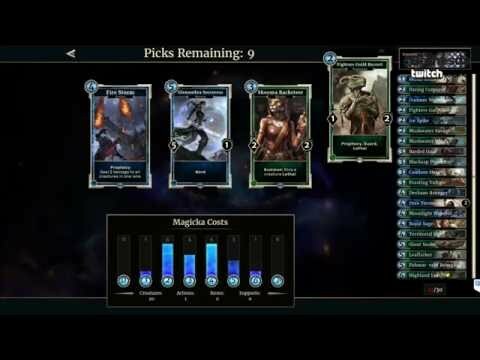 Is The Elder Scrolls: Legends worth playing? I have to be honest and say that I still have a bad taste in my mouth from Fallout: New Vegas's Caravan. For those not in the know, Caravan required you scavenge random playing cards from around New Vegas' Mojave Wasteland and do something with them. To this day, I still do not have the slightest inkling on how to play it, even after I accumulated nearly five hundred hours with New Vegas. The only thing Caravan cards were good for, as far as I could fathom, were trading them in for caps and ammo. More recently, The Witcher 3: Wild Hunt featured it's own in-universe card game known as Gwent, which due to the positive feedback from many a fan, ended up receiving its own spin-off game from CD Projekt Red. Gwent isn't nearly as atrocious as Caravan was, it's not even close. It's easy to pick up, and good for fleecing an occasional merchant or innkeeper for a few Novigrad crowns in a pinch. But honestly, did anyone really decide to pick up The Witcher 3 because they were that psyched for Gwent? Doubtful. It's not as if The Witcher 3 is lacking in quality content that it needs to rely on Gwent for a last-ditch, emergency backup plan should players' eyes begin to glaze. It isn't that I dislike customizable card games (or CCG's). In fact, I enjoy busting out a few of my old Magic: The Gathering decks every once in awhile. 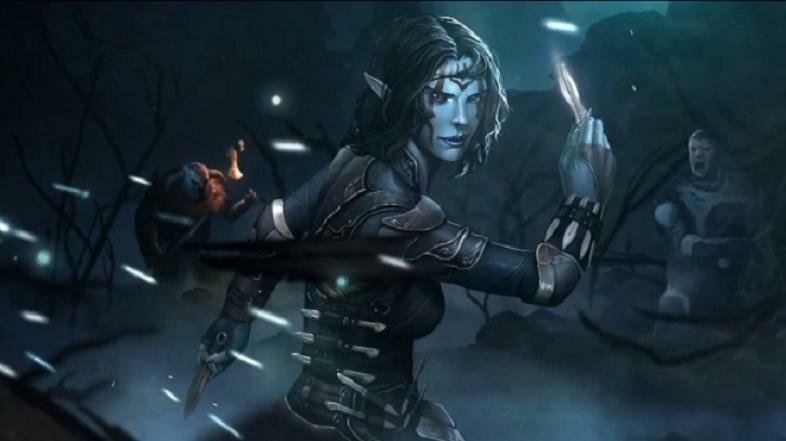 But when I first read sometime ago that Bethesda Softworks and Dire Wolf Digital were releasing a digital CCG in the form of The Elder Scrolls: Legends, I showed not even a mere flicker of interest. Much like The Witcher 3, The Elder Scrolls universe has so much other interesting and high-quality things going on with it that a simple card game should fly right under the radar, barely noticed. But here it is, released a little over a week ago on March 10th, its purple icon smack dab in between Fallout: Shelter and the Creation Kit for Skyrim: Special Edition on the Bethesda.net launcher. It's free to play, so there's no beating the price. Why not give it a whirl? After a few minutes downloading and installing, I was ready to get started on The Elder Scrolls: Legends. First off, it's important to mention that if you want to play the game, you'll need to first download the aforementioned Bethesda.net launcher, which is available from Bethesda's website. This is where the game downloads and is accessed, along with Fallout: Shelter and the Creation Kits for both Skyrim: Special Edition and Fallout 4. It's pretty convenient should your interests in digital CCG's coincide with an interest in modding. What happened next after I booted up the game surprised me somewhat: I had to pick a race and a character portrait. Maybe this shouldn't be too surprising considering this is an Elder Scrolls game (of sorts), but it was definitely a first for me as far as CCG's go. This becomes your "Forgotten Hero" and represents you as you play through the story mode and beginning tutorial. The bonuses provided by the race you choose will also effect what type of cards you find, card attributes, and so forth. Like the other games in the franchise, TES: Legends has you choose a race that affects certain aspects of the game. As your "Forgotten Hero" moves through story mode, they will encounter foes that will have to fight and these battles are represented by playing the card game as opposed to engaging in a physical struggle. Basically, you and your opponent play creature and character cards against one another with the goal of reducing each other's health down to zero (not unlike Magic: The Gathering). Creatures have an attack number as well as a defense number and require magicka to play, which goes up by one each turn. This means that less expensive cards are played in the opening turns and more the more powerful, expensive cards are played later on. Other card types include Item cards that give bonuses to your creatures, Action cards that are like spells and other attacks, and Prophecy cards that are played instantly. Players employ creatures, characters, item cards, and various spells to crush opponents. There's also a decent serving of obligatory explosions and other flashy animations. The play area is separated into two lanes, left and right, with the right lane giving the creature cards you play a stealth bonus, meaning that they can't be attacked for one turn. The left, or "field lane", provides no special bonuses and cards are played normally. Creatures can only attack in the lane they are played in, and players are only limited to four creatures per lane. Players also lose "runes" as they take damage, with five points of health damage resulting in the loss of one rune. Each time this happens, a card is drawn into the player's hand. If players choose to aggressively go after their opponent's health, their opponent will be able to draw more cards faster which could prove troublesome later on. The game also has a deck building screen (similar to that of Gwent in The Witcher 3) where players can choose from a pool of won or purchased cards to use in their decks. There is also an online store where real-world money can be spent to buy cards to bolster decks. The deck building screen allows you to choose from a variety of cards which are won from defeated opponents or purchased from the in-game store, allowing players to fine-tune their own strategies. Something that struck me as I played through the opening rounds of the story mode is that there were times were I would have to decide the fate of a defeated character. The choice I made would result in me receiving one card or another. Also interesting is that as I progressed through, I would "level up" and various cards would level with me, transforming into more powerful versions of themselves. I also appreciated the fact that the game isn't an absolute chore to learn (yes, Caravan, I'm looking at you) and is fairly intuitive. Even after a receiving a wallop or two from an opponent, I was easily able to adapt my strategy and figure out how to beat them. The addition of light role-playing mechanics was, as far as my experience with CCG's go, different and unique. TES: Legends will sometimes allow players to make choices in Story Mode that determine the fate of defeated enemies as well as the cards won from beating them. "The Elder Scrolls" is a fantastic game to an extent since I play it on PC. Better games out there, yes.